Home Analytics Are Your Data Analytics Making You Smarter Or Overconfident? Are Your Data Analytics Making You Smarter Or Overconfident? According to a recent Harvard Business Review article, big companies are embracing analytics in 2018, but most still don’t have a data-driven culture. Furthermore, if I were to ask you if your company is data-driven, there’s a high probability that you’d say yes — despite substantial industry exaggeration. This is because the industry is only now beginning to put specific parameters around what it means to truly be data-driven versus, say, data-influenced or data-aware. Many companies confuse the art of data collection with the disciplined science of data analytics. Having access to siloed reporting structures from Facebook, Google and your various marketing, sales and CRM platforms is not the same thing as being able to intelligently answer a question — backed up by data — about your customers and their buyer journeys. Time is money, and your data speed provides a competitive advantage. The vast majority of big data is unstructured, which means there’s a fair amount of data wrangling involved before you can analyze, build a hypothesis and test your understanding of what the data is telling you. Even with the help of artificial intelligence, there are often time-consuming steps required to break down the data silos to deliver meaningful and actionable insights from your data. What’s worse, the larger the company (in terms of the number of employees), the deeper the silos tend to run. The social media team, for example, tends to myopically obsess over social media success metrics without having a deeper understanding of how their efforts fit into the overall customer journey from initial discovery to repeat purchase behavior. This is why so many companies authentically believe they are data-driven, yet most are just beginning to fully comprehend what data is truly meaningful, how to navigate through all of it and, most importantly, how quickly they can act upon the insights once they are discovered. Understand the digital analytics value chain. A deeper understanding of your customer behavior is usually the most important insight. As business leaders, we tend to focus on metrics such as bounce rates and conversion metrics, but how do these metrics actually translate into truly understanding our customers? Over the past decade, we’ve gotten really good at reporting the actions our customers take, but by and large, we’re still pretty far from truly understanding our customers and their needs. 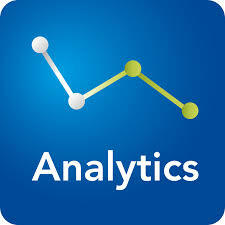 The goal of any analytics solution is not to track customers. The goal of data analytics is to understand the needs of our ideal customers and to begin applying our learning as we deepen our relationships with them. Tags : Analytics, Are Your Data Analytics Making You Smarter Or Overconfident?